For some reason I can’t resist a quirky project. And with some people paying late, the cash flow helps. This fellow wants to keep his prize VW, taken from his inefficient pontoon boat, and get a more efficient sled under it. 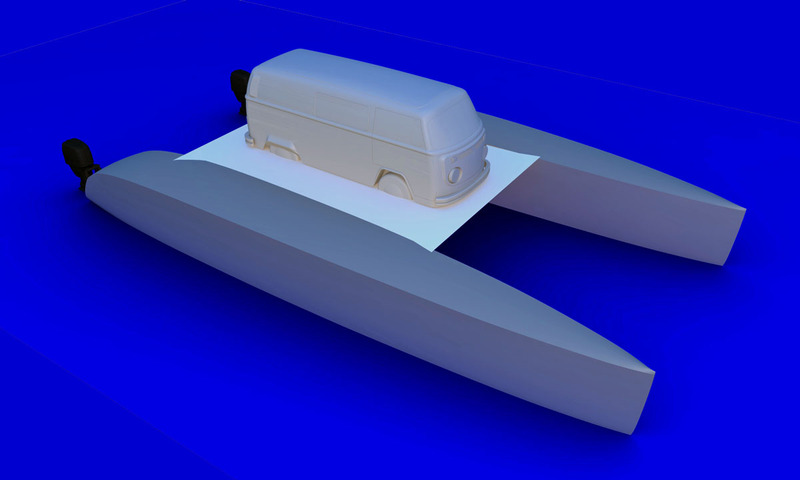 I modeled it with the 36′ Boat in a Box charter hulls. It will require a lot less power now. For the Mississippi River. He will be notorious.